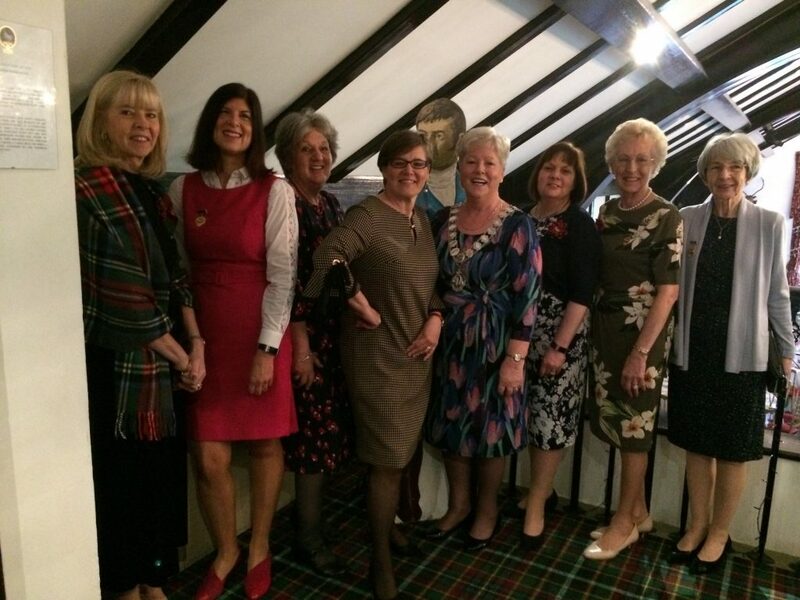 On Sunday, 7th April 2019, Alloway Burns Club had the great pleasure in hosting this years 20th RBWF Annual Lasses Lunch. The day was set in the beautiful surroundings of the Brig O' Doon House Hotel and was a wonderful day of friendship, laughter and delicious fayre. Special thanks go to this years speaker Julie Griffiths as well as all who delightfully entertained. We were blessed to have such wonderfully talented youngsters, Celtic Voices led by Davey provided song, Sophie Craig, recitation and song and Daniel provided the ambiance with the bagpipes. Pictured here are some of the Alloway Burns Club Ladies with our Bard.